When you want a simple floor that’s everything you need, we often recommend browsing our Forbo Natural Linoleum in Hendersonville, NC. Forbo is a global market leader serving more than 65% of the industry for 150+ years, and Flooring America of Western North Carolina is your local source for all things flooring. Together we bring you the best in natural linoleum for an environmentally friendly asset that upgrades your home for decades. Come talk to our professionals today about selecting the floor for you and your family. We run a showroom full of diverse colors, patterns, and styles for many materials, but especially linoleum. You even have the option of combining different ones for a custom floor since natural linoleum flooring is so easy to cut. 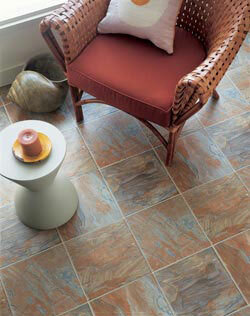 The possibilities for design and artistic expression become limitless with our flooring options. We pride ourselves on delivering the most affordable material and installing it expertly. You’re welcome to ask any questions and seek out assistance from our flooring experts who are here to help you with whatever you need. Almost every benefit you could want from a new floor is present in this material. Linoleum handles high traffic well, so it’s good for children, pets, and parties. The water-resistance allows it to go anywhere, including bathrooms, kitchens, basements, and laundry rooms. Best of all, these Forbo floor coverings are easy to clean and almost maintenance free. Just a quick sweep or vacuum with an occasional mop does the trick. Few floors offer beauty, versatility, affordability, strength, and low maintenance all in one—but Forbo can and does. Let us know what you need from a floor so we can set you up with the ideal choice. How a floor is placed determines how it performs and how long it lasts. At Flooring America of Western North Carolina, we’re prepared to provide the best installers we have with all of the necessary equipment. We want you to love your new floors and enjoy them for years, and proper installation is the best way to guarantee that happens. You’re much more likely to save money and time by allowing us to do what we do best than by hiring an inexperienced contractor. When they make mistakes, you could wind up paying an arm and a leg to fix it. Take the easy way and hire us instead. Contact us to learn more about Forbo floors. We install them for the homeowners of Hendersonville, Asheville, South Asheville, Brevard, and Tryon, North Carolina, and the nearby neighborhoods.